Hearts youngster Bartlomiej Gajda has returned to his homeland and signed for Polish side Znicz Pruszków, who play in the country’s third tier. The 19-year-old centre-back, who joined Hearts from Gornik Zabrze on a three-year deal in August 2017, was attached to the Jambos’ Under-20 side, making one appearance in the IRN-BRU Cup in a 3-1 loss to St Mirren in early September 2017. Gajda, who has been capped at Under-15, Under-16, Under-17 and Under-18 level by his country, has agreed a deal with Robert Lewandowski’s former club until June 30 2020. The Pszczyna-born defender spent time in the youth set-ups at Pasjonat Dankowice and Podbeskidzie Bielsko-Biała as well as Gornik before moving to Scotland. 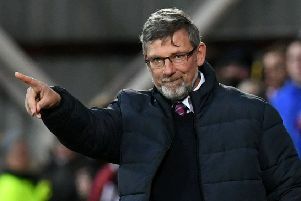 His Tynecastle deal was due to run until August 2020 but the teenager had a trial spell with GKS Jastrzebie last month after failing to force his way into Craig Levein’s first-team plans.